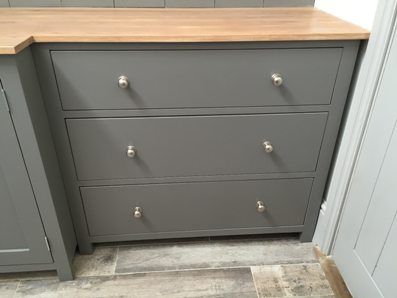 The Stratford freestanding sideboard/drawer unit featuring two full width dove tailed drawers under two half width top drawers. 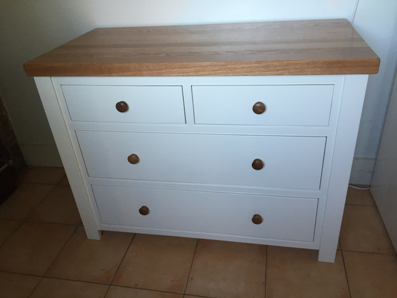 All drawers are fitted with full extension soft close drawer runners. 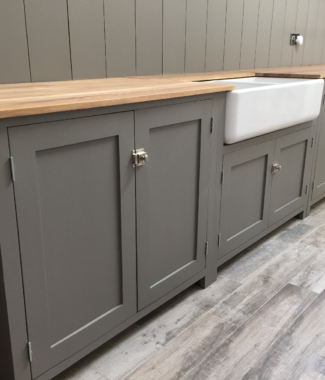 Pictured with a 40mm solid oak top and optional drawer beading finished in Farrow and Balls “Theresa green” . 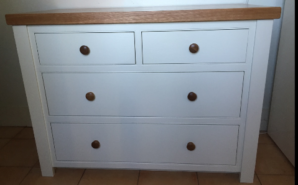 Can be painted in your choice of colour from the farrow and ball range, we can also customise the handles. 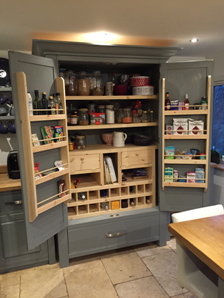 The base unit is constructed from solid pine and the top is solid oak (we do not use mdf panels or vennered oak,). You may also like our cotswolds sideboard.